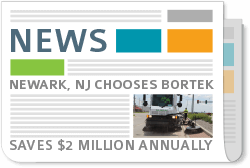 Scrubber & Sweeper Rentals - Rent at Bortek Industries, Inc.
Want to request a rental online? Click here! Ask us about Hydro Excavator, Combination Jet/Vac Sewer Cleaner, and Hydro Jetter Rentals! Rentals available for most locations in Pennsylvania, Maryland, New York, New Jersey, and Connecticut. Whether you’re in a large industrial facility or an individual subcontractor, whatever equipment your projects demand, Bortek Industries, Inc.® can handle your floor scrubber rental needs. We have a wide variety of industrial sweeper and scrubber brand names to choose from such as Factory Cat, PowerBoss, Global, and Dulevo. These machines are available for immediate rental on a short or long term basis and the perfect solution for cleaning any commercial, industrial, or outdoor ground surface. If you are unsure of what kind of machine you need, explore the rest of this page or give us a call and we will be more than happy to help! With over 50 years of experience, we have the ability to recommend the correct machine to each customer. Why Rent Sweepers and Scrubbers from Bortek Industries? ► Enjoy on-time deliveries, every time. ► Reliable equipment– we maintain our rental fleet to the highest of standards and every rental machine in our fleet is no more than three years old. This ensures that you will always have the latest cleaning technology at your disposal. ► Safety– you have access to well-maintained used equipment and new equipment as well as convenient, on-site training by one of our experienced sales representatives. ► We offer full-service facilities that are staffed by trained professionals who know the business and can work quickly to find the equipment you need for the job at hand. ► Performance– both our equipment and our sales team will provide you with the absolute best tools and support to ensure you get the most out of your rental cleaning equipment. All of the sweeper rentals and scrubber rentals in our fleet are high-performing, high-productivity, and effective cleaning machines. You’ll love ’em. How can you choose between renting or buying your floor cleaning machine? Choosing to rent or buy your cleaning equipment depends on your situation. Finances, length of project, and cost of ownership should all be considered. Renting includes the benefits of no maintenance costs, cheaper initial investment, and low short term risk. We carry an extensive line of industrial rental equipment including ride-on sweeper rentals and ride-on scrubber rentals. Need help deciding whether to buy or rent your cleaning equipment? Call us today! How do we put the best sweeper rental in your hands? The answer is very simple. When one of our sales reps talks with you or comes out to your facility, their experience and expertise can guide you to the perfect machine. Taking the various aspects of your application into consideration such as work environment, aisle width, total square footage and floor type, we will give you our best recommendation on which sweeper rental or scrubber rental will best suit your needs. We are confident that you will be very pleased with the rental we put in your facility. Daily, weekly and monthly rental options with affordable prices are available to fit your floor cleaning needs. We rent floor scrubbers and sweepers throughout the Northeast. Rent your walk behind or ride on scrubber or sweeper today with someone who specializes in floor cleaning equipment that you can trust. What cleaning chemical will you need for your scrubber rental? Once again, we will make the best recommendation for your cleaning environment. Lucky for you, we have some newly designed Bortek branded cleaning chemical products. Our line of cleaning chemicals are suitable for just about every type of floor. The type of floor that you have and the kind of soil you are picking up will help determine which chemical we recommend. So don’t worry about choosing the right cleaning chemical for your floor scrubber rental, we’ve got your back! “My Field Services Department recently utilized a Walk Behind scrubber from Bortek Industries’s Rental Fleet for a remediation job in Lancaster, PA. Bortek Industries provided me with a late model floor scrubber, appropriate cleaning chemicals for that unit, and knowledge to complete this job in a timely and efficient manner. They were easy to deal with, delivered the machine to my jobsite, and were able to adapt to my schedule change on short notice. This equipment performed at a high level and met all of my expectations.